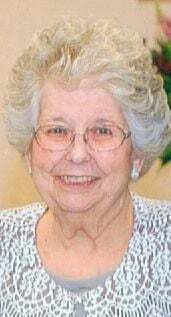 Laura F. Isaacs, 83, of Decatur, passed away at 10:48 a.m. Tuesday (Feb. 12, 2019) in Fair Havens Christian Home, Decatur. A service celebrating Laura's life will be at 10 a.m. Monday at Dawson & Wikoff Funeral Home, Mount Zion. Burial will be at 12:30 p.m. Monday in Greenleaf Cemetery, Farmer City. The family will receive friends from 4 to 6 p.m. Sunday at the funeral home. Memorials may be made to the Mount Zion Christian Church. Laura was born Dec. 27, 1935, in Farmer City, the daughter of Elman and Lou Ree King Rittenhouse. Laura retired as a bookkeeper for Drs. Hubble, Taylor and Warchol, ophthalmologist's office. She married Arlen Isaacs on Sept. 7, 1958. Laura was a charter member of the Taylorville Christian Church and a charter member of the Mount Zion Christian Church. She was a pianist for both churches. Laura also enjoyed sewing and quilting and was involved in making quilts for missions at the church. She enjoyed traveling to many areas, along with her husband, after their retirement. Surviving are her husband, Arlen, Decatur; son, Mark Isaacs, Decatur; daughters, Cheryl Ellegood, St. Louis, Mo., and Anita Ricker (Jon), Decatur; grandchildren, Ben Ellegood (Dorie), Mount Zion; Ryan Ricker, Decatur; and Andrea Ricker, Decatur; brothers, Bill Rittenhouse (Shirley), Farmer City, and Glen Rittenhouse (Rita), Pekin; sisters, Martha Gillespie (Ed), Dekalb, and Nancy Baker (John), Clinton; sister-in-law, Jenny Rittenhouse, Clinton. Laura was preceded in death by her parents; brothers, Raymond and Thomas Rittenhouse; and her sister, Irene Oakley. The family wishes to extend their sincere gratitude to the spiritual staff and nurses of St. Mary's Hospital, as well as, the staff of Fair Havens Christian Home for all their care and compassion.